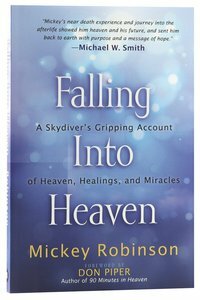 After surviving severe burns ... resulting from an airplane crash while skydiving, Mickey Robinson had a Death's Door experience and spiritual rebirth that radically changed his life. For the past 25 years, Mickey has had a public ministry speaking in churches and to various groups of people. He shares the reality of God's power to change people's lives. Mickey presently serves as a Director of Prophetic Christian Ministries Association, President of the Lazarus Foundation, a care and discipleship center for the physically challenged, and Seagate Ministries. Seagate Ministries is located in Franklin, Tennessee, where Mickey resides with his wife Barbara and their children.